REAL MADRID ADIDAS Z.N.E. HOODIEBUILT FOR DISTRACTION-CUTTING COMFORT.The adidas Z.N.E. collection was designed to help athletes get focused in the moments before competition. This soft hoodie is built for comfort in thick fabric that wicks away sweat. 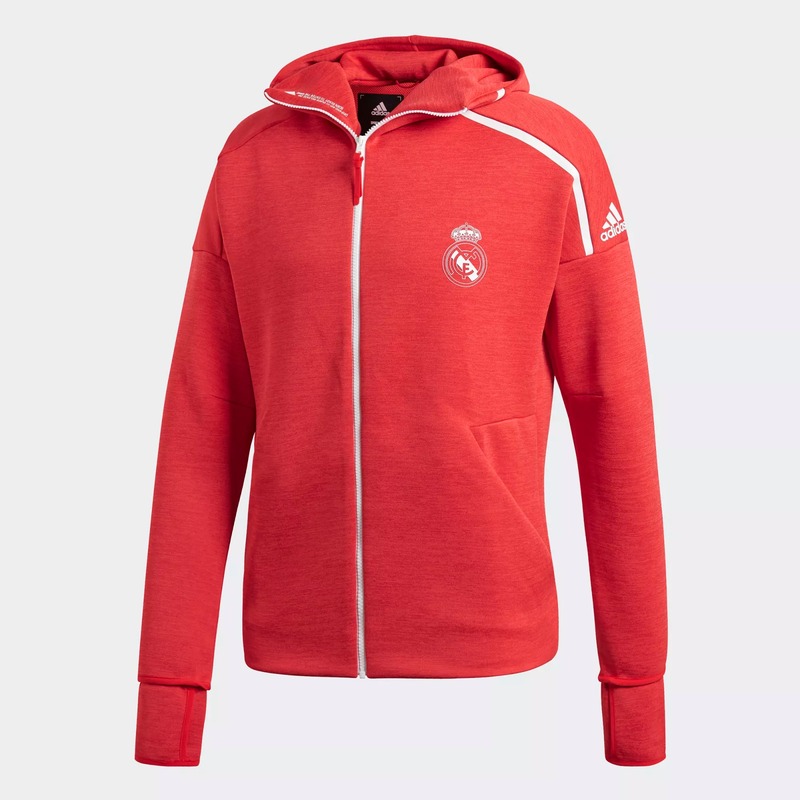 It's the same one Real Madrid players wear as they emerge from the tunnel and step into the spotlight.Stay dryClimalite wicks sweat to keep you dry in every conditionBe readyA fast-release zip lets you tear the jacket off at a moment's notice.Regular fit is wider at the body, with a straight silhouetteThree-panel hoodLong sleeves with thumbholes on cuffs61% polyester / 39% recycled polyester doubleknitThis hoodie is made with recycled polyester to save resources and decrease emissionsClimalite wicks sweat to keep you dry in every condition; Front zip pockets; Full fast-release zip for conveniencePiping on drop shoulder; Whiteout-print Real Madrid crest on chest; adidas Badge of Sport on chestImported.